ABOUT THE PILOT PLANES AND MORE. Hello everyone, I created this site "pilot-planes" so that I could both educate and introduce you to the wonderful world of How to Become an aviator and choose the right planes to fly. Thanks for flying in and landing on our site, hope you enjoy! I’ve been flying since 1978, my father and I took lessons together at an old strip in the country called Franklin Flying Field. Being able to fly side by side with my father was the greatest! 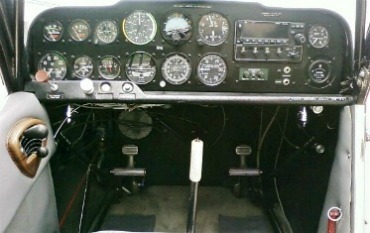 Now I would like you to come fly with me in my favorite taildragger the Citabria, through this introduction of my site. Well here we go, fasten your seat belt and enjoy the ride. Get her lined up, that's it, now hold that stick back and ease that throttle in, now keep her straight by using those rudder pedals. That's right now ease that stick forward to neutral. Now as the tail gets light move the stick forward as needed to keep her level. That's it your doing great, Speeds good now ease back on the stick, there we go were off and flying. How amazing and incredible was that? The feeling is like the first time you rode on a roller coaster. Remember how fantastic that felt! Remember the feeling of butter-flies in your stomach when you dropped off over that edge. Then went racing down that hill with your hair on fire. Do you remember the excitement of doing something for the first time and how it made you feel? That is what you will experience when you climb in to the Pilot's seat for the very first time and experience the thrill and excitement of takeoffs and landings. But I assure you, it’s not near as scary or rough as what you experienced riding that roller coaster. But you’ll remember it in a unique and similar way forever. In this website you will not only learn about how to become an aviator. You will experience the vast variety of aircraft at your disposal to fly. Just to mention a few categories like; Sport, Antique,Classic and Private Planes, plus a few more we will discuss later. Above & Below are two pictures of me flying a Sonerai II, Mid Wing experimental plane. Every time I fly it is the most incredible feeling of freedom and wonder one could ever experience. There's is no greater high than when you are flying! I truly feel blessed each and every time I fly. Do you remember when you were a young boy or girl seeing that low flying aircraft over the fields? So low you thought they would never have time to pull up before they clipped those power lines or flew into a tree. Flying low was just part of the job. That was a Crop Duster, you will learn about them as well, and the diverse choice of Ag planes they fly. Many of the farmers across the country hired these pilots to spray their fields with pesticides to protect their crops. And you will meet many of Aviation’s most famous pilots, along with the very first female pilots who graced the skies of the 20th century with their barnstorming escapades and adventures in flying. You will learn about the tremendous contributions woman made to the popularity and growth of aviation. You'll also be introduced to one of aviation's most deadly topics that fliers are continually confronted with, “weather”. Many times when planes crash, sadly it is weather related. And these crashes might have been avoided, if not for the bad decision to go flying. Well I hope you have enjoyed flying with us, through this abbreviated introduction into what this website is all about. Remember, Once you have tasted the joys of flight, you will never look back in the same way you once did. Take care and thanks for flying with us.